Acclaimed as an instant classic upon publication, "Nickel and Dimed" has sold more than 1. 5 million copies and become a staple of classroom reading. Chosen for "one book" initiatives across the country, it has fueled nationwide campaigns for a living wage. Funny, poignant, and passionate, this revelatory firsthand account of life in low-wage America--the story of Barbara Ehrenreich's attempts to eke out a living while working as a waitress, hotel maid, house cleaner, nursing-home aide, and Wal-Mart associate--has become an essential part of the nation's political discourse. 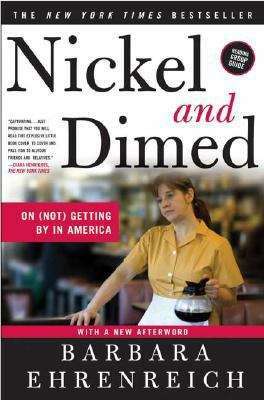 Now, in a new afterword, Ehrenreich shows that the plight of the underpaid has in no way eased: with fewer jobs available, deteriorating work conditions, and no pay increase in sight, "Nickel and Dimed" is more relevant than ever.